Here is my Bunny box with the box opened. I entered this into the challenge over at Decorate to Celebrate. 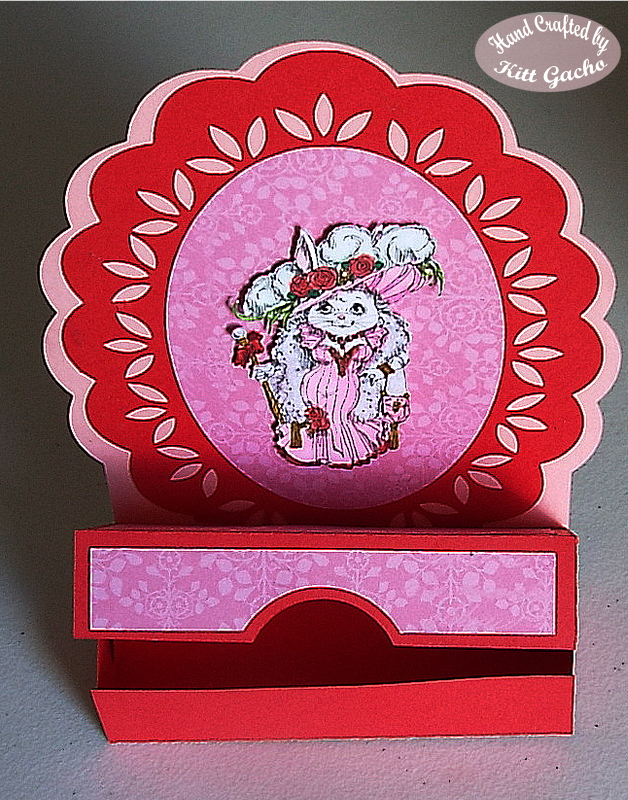 The bunny image is from RSD the box is from the Silhouette Store. This can also work as a mother's day gift box . I used my new cameleon markers and Spectrum Noir markers to color the image. Thanks for stopping by today and be sure to see what the talented DT has for your inspiration and enter for a chance to win digital images. Have a happy crafty day. That bunny is so cute! This is beautiful, love the pink and red and that fab image. Thank you for joining us at Digitally Sweet Challenges, hope to see you again.